Smile | Ooh, my favorite! Was anybody else dead tired today? I don’t know what happened but I could barely get out of bed to make it to work today: and by that I mean make it to work, like, right now…at four o’clock. Perhaps it’s the shortness of these days, or the impending apocalypse, but regardless my body is run over and lazy. Lately in order to help me feel less lazy and lethargic I feel like I’ve accomplished something if I’ve done nothing else other than played one of these puzzle games. I have to say the brain exercise helps, and it’s so nice not to have the telly on. I’ve suddenly realized that even without Cable television I have substituted it with Instant Netflix, and there’s not much on there either! So, here’s a list of some of my favorite games…in case you’re in need of some brain exercise fun with family during the holiday next week. And a big thanks to Thani and Mari for sharing the first two with me this summer. Quarto – Create a line of four pieces that share a commom characteristic: tall or short, dark or light, square or round, hollow or solid. The trick here is that you pick the piece your opponent plays. 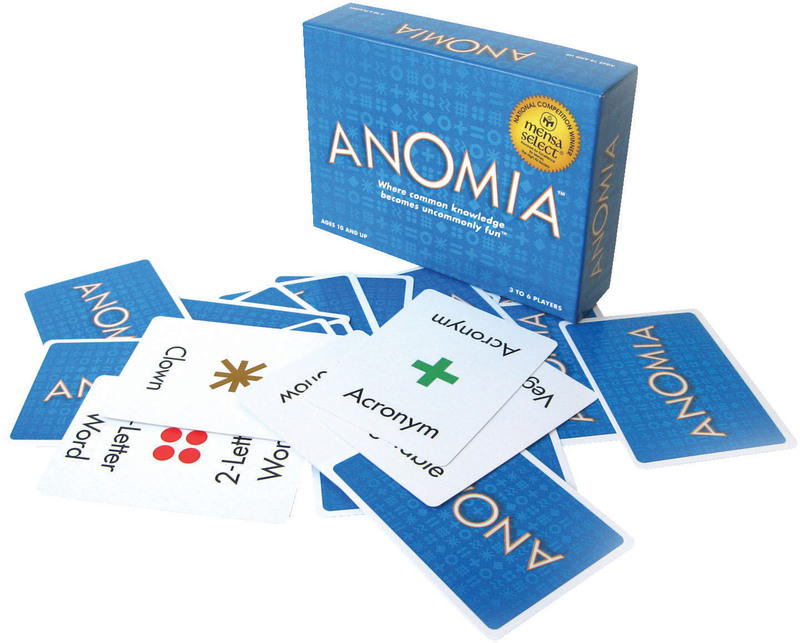 A game of strategy, perception, and reasoning…but so fun. There will be many a face palm when you accidentally hand your opponent the precise piece they need to complete their set. Pentago – I like to think of it as Connect Four on crack. The object is to place five of your color marbles in a row, but the twist here is that after each play you must rotate one of the four quadrants! 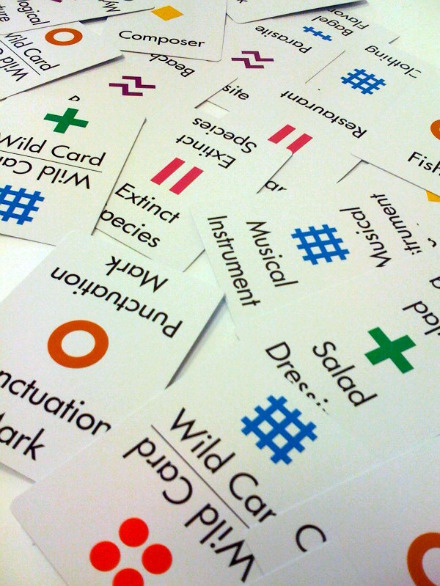 Memory – Again, how much I love these colorful Patrick Hruby cards. And really, it’s pretty alarming how much I can’t remember during the course of this game. 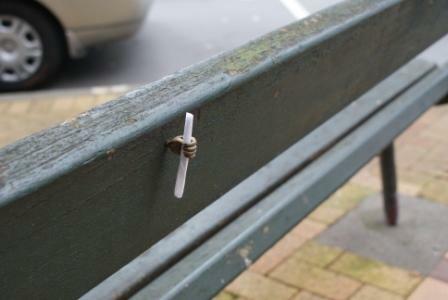 I just love little ideas like this. 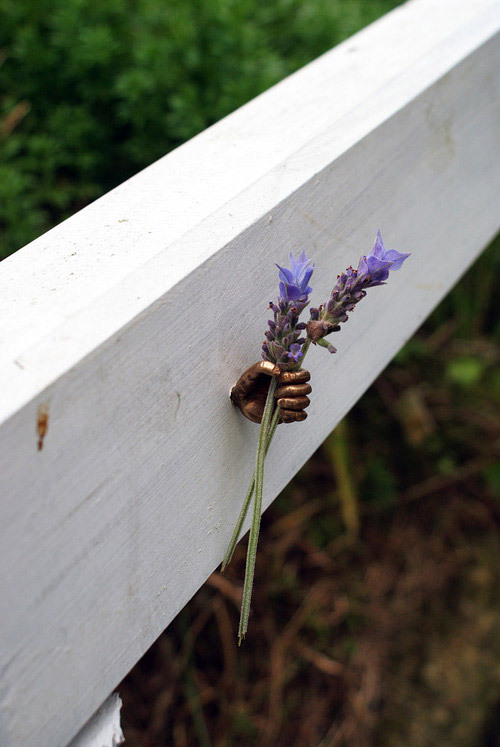 I think of how happy I’d be to stumble upon a tiny bronze hand holding a little note or even a piece of cloth. Such a great idea. 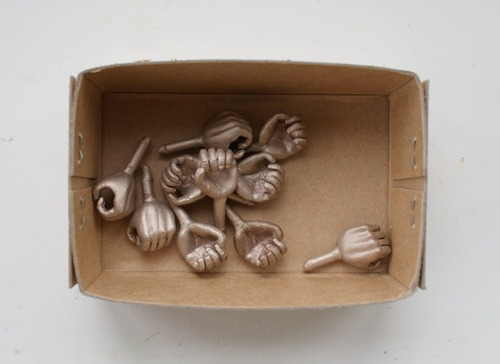 “In upcoming weeks a series of little bronze hands will be installed in central Wellington. In walkways, shortcuts and places people pass on their paths to work or school. Their purpose is to hold offerings. Anonymous tokens of generosity or thoughtfulness. My intention is that others will use the little hands too, for leaving small items. Lots more images and a video via Ornamental thoughtfulness. This kid is awesome! Such a sweet and happy little story. Sylvain and his team (based in France) get to create these beautiful bubbles everyday for their work called Ebullitions. Bravo!